One of the most commonly experienced symptoms of cancer is chronic pain. 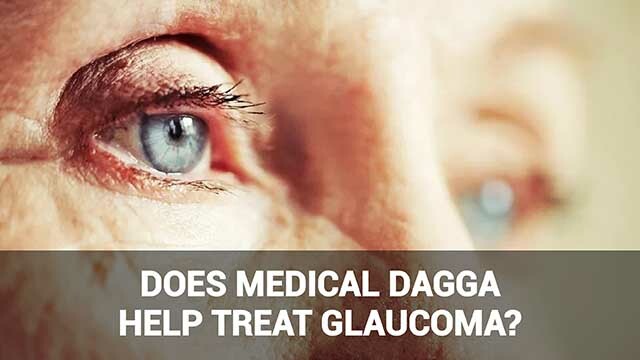 Clinical trials and studies determined that cannabis is less toxic and addictive compared to other pain killers that are widely administered to cancer patients. Loss of appetite and related weight loss are common symptoms of both cancer and standard treatments such as chemotherapy. 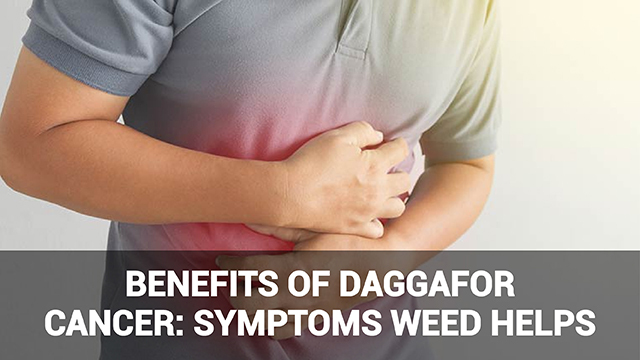 However, dagga for cancer has been shown to ease nausea and promote healthy appetite by stimulating the release of hunger hormones known as ghrelin. Traditional cancer treatment often leads to troubled skin. Itchiness, rash and red skin are common side effects of treatment. Cannabis contains compounds called cannabinoids. 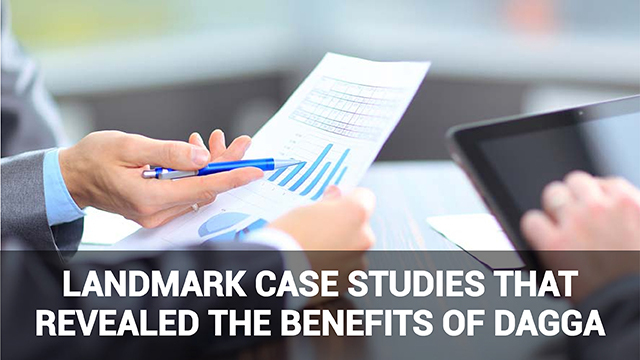 These are anti-inflammatory agents and often provide substantial relief from skin irritation. A compress containing the herb can be directly applied to affected areas. The adverse effects of cancer often contribute to stress and depression. 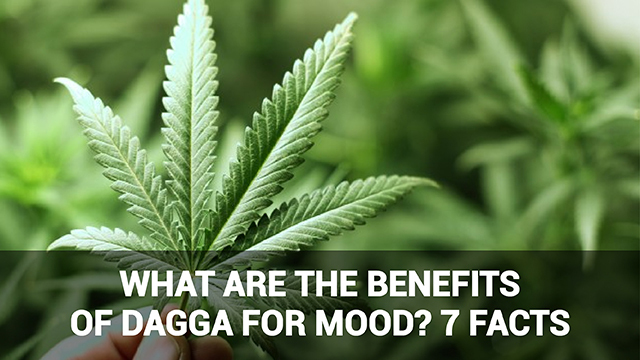 THC (the psychoactive component of dagga) and cannabinoids are often effective in improving mental health, however as they increase serotonin, the ‘happiness hormone’. 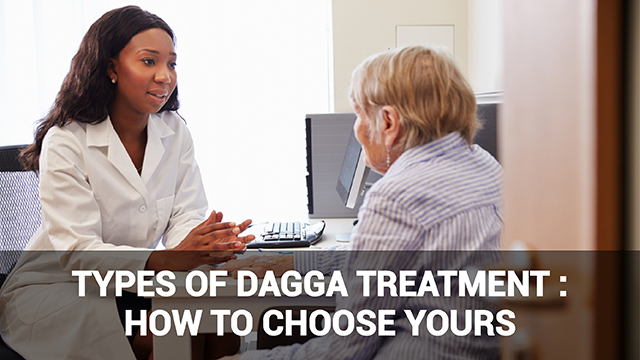 Dagga for cancer also acts faster than traditional anti-depressants, as the effects are usually noticeable within minutes to an hour, depending on the form taken. A chronic disease such as cancer can also affect sexual health adversely. Because of its stress-reducing properties, cannabis produces relaxation that assists easier sexual interaction. 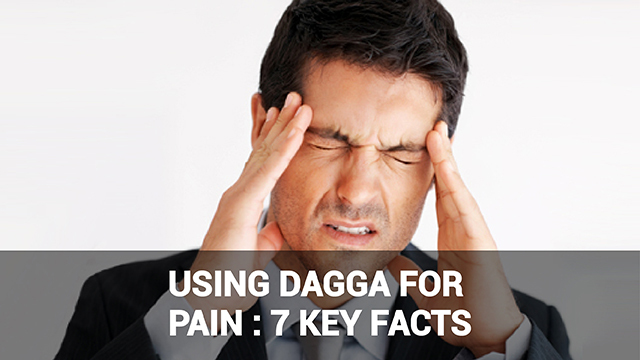 Because it eases pain, it also helps to diminish the pain and fatigue that can impair sexual health and function. 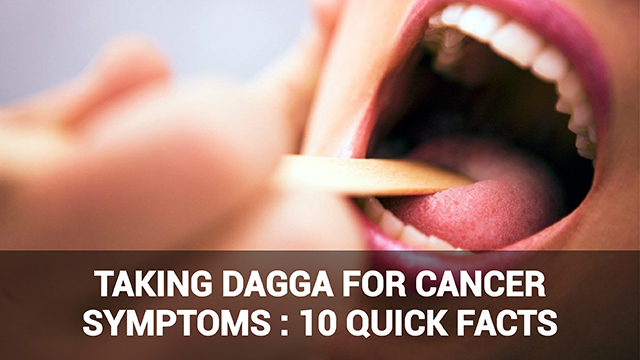 In addition to alleviating the above symptoms, dagga taken for cancer also has anti-carcinogenic properties. In other words, it actively fights cancer cells. 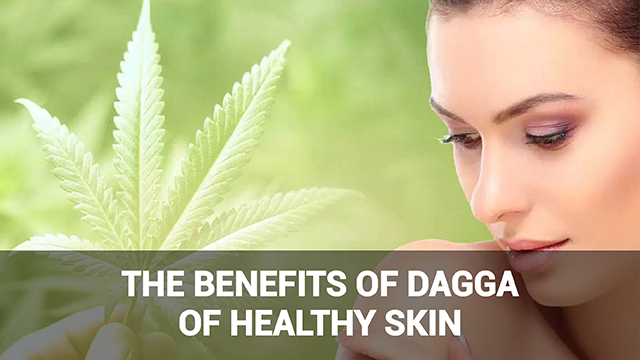 Cannabinoids in dagga have been found to combat the proliferation of cancer cells, as well as cell death and tumor growth.